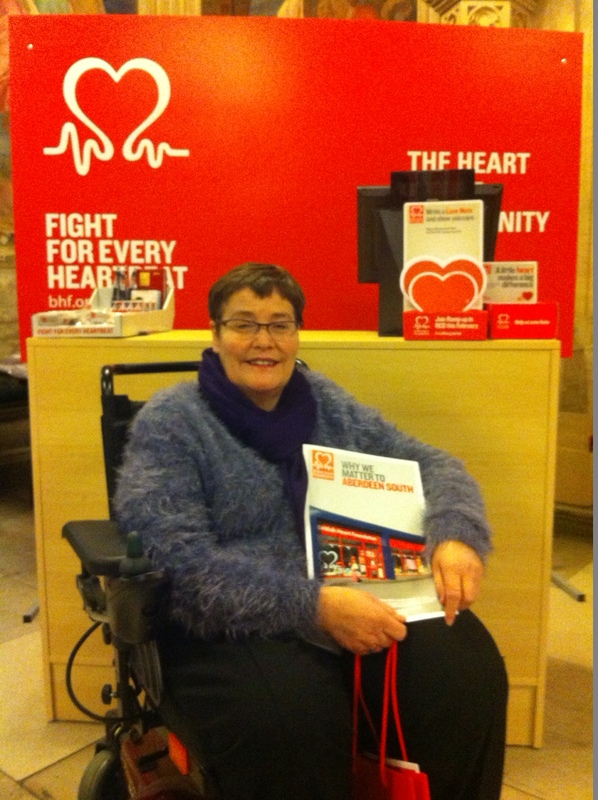 Dame Anne Begg MP was delighted to support the British Heart Foundation and it’s annual campaign Ramp Up the Red day which aims to raise funds to fight coronary heart disease (CHD). Every year, around 8,000 Scots die of CHD. The disease is caused when the heart’s blood vessels become narrowed or blocked and cannot supply enough blood to the heart. Despite a steady downward trend in deaths from CHD in Scotland in the last ten years, there is no room for complacency and the British Heart Foundation also hope to raise awareness of how small changes to your lifestyle can help keep your heart healthy.